The avalanche of the redesigned pickup truck models hit the market for the 2019 model year including the reintroduction of the mid-size Ranger and all-new half-ton, full-size models from the Ram and GM. However, the stage for the 2020 model year will free the room for the redesigned heavy-duty models. Ram and GM are already testing the new-generation three-quarter and one-ton versions. But it seems based on the recent reports that Ford won’t stay without the response. Despite the Blue Oval Brand introduced the new generation the Super Duty series for the 2017 model year, the brand is already working on the new round of upgrades. 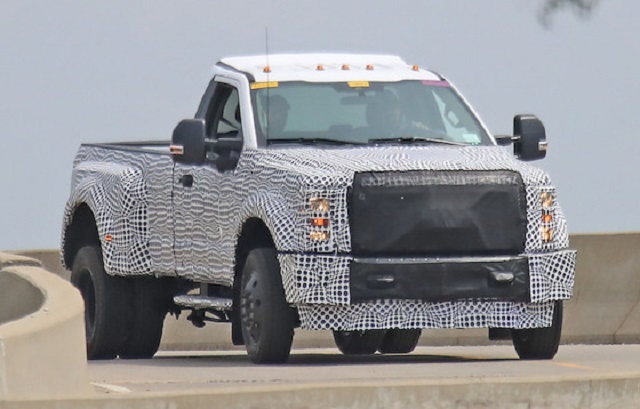 Ford hasn’t revealed what has in the prospect but the prototype of the 2020 Ford F-350 was seen on road with the camo hiding some styling updates. The reports also claim the changes in the powertrain range suggesting the possibility of the new engine and transmission unit. 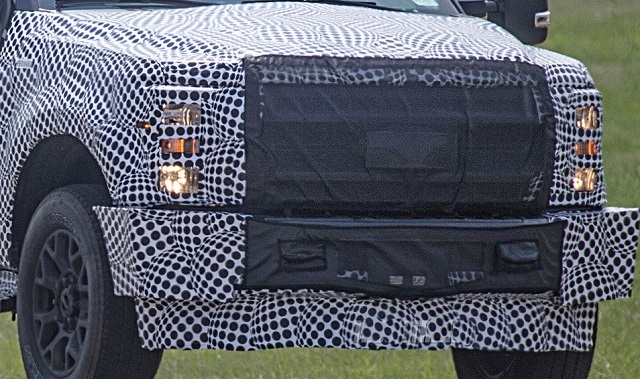 The heavy camo on the 2020 Ford F-350 prototype suggests that Ford is in progress of making some styling modifications to the recently redesigned Super Duty Series. With the high-tensile steel chassis and lightweight, aluminum body panels since the 2017 redesign the heavy-duty Ford trucks are both more capable and lighter and the new version will likely come with moderate cosmetic intervention. The models are expected to mimic the changes seen on the refreshed 2018 F150. The new grille version will likely appear matching the style of the updated F-150. The rear section should also come with the more sculpted tailgate and updated design of the taillights. The Super Duty trucks won’t bring major design changes inside the cabin. The trucks deliver a high level of practicality and modern tech plus a number of the customization options. The latest Sync infotainment system will be available with the premium sound system, navigation, an array of advanced safety systems and more. Buyers will also have the option between durable and less costly materials and more expensive and refined upholstery. There will also be the high-luxury equipment and attractive texture options as well. Ford hasn’t yet said a word about the powertrain upgrades of the 2020 Ford F-350 and smaller F250 version. The reports, however, suggest several major upgrades as the possibility. Reportedly, the new 7.0-liter V-8 engine might come for the new model to replace the ancient V10 engine. The new V-8 version should improve the fuel economy and might also be the replacement for the 6.2-liter V-8 petrol unit according to some reports. The 6.7-liter V-8 turbodiesel will continue to the new model year but could also gain greater torque ratings. In the current form, this engine makes 450 hp and 935 lb-ft of torque in the combination with the heavy-duty, six-speed automatic transmission. The new 10-speed transmission has also been in the reports for the 2020 model but no confirmation from Ford. With the new gearbox, the truck could deliver more than 1, 000 lb-ft of torque based on some assumptions. The 2020 Ford F-350 will likely make the official debut early next year. Closer to that we will know what would prove to be true about the reported upgrades. With the expected updates, the price will likely go up but not radically.